The family dining room takes center stage this time of year. From the Thanksgiving feast to the pre-bowl game brunch on New Year's Day, it's where lasting holiday memories are made. We'd love to spend the holidays in any of these 17 dining spaces. Each exudes that wonderful combination of warmth and style that creates the ideal setting for long, leisurely meals with family and friends. All of us at Hammerton wish you a warm and wonderful holiday season! Hammerton’s new Odeon chandelier (CHA2176) from the Fusion collection. 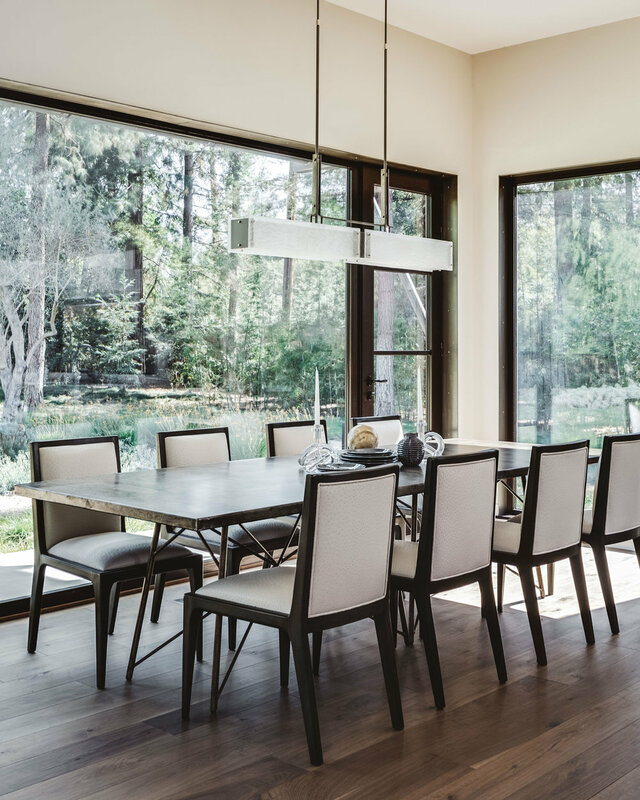 A Hammerton PL2083 linear contemporary dining light over a transitional mountain dining room. A pair of PL2150 linear suspensions in a Washington, CT contemporary farmhouse. 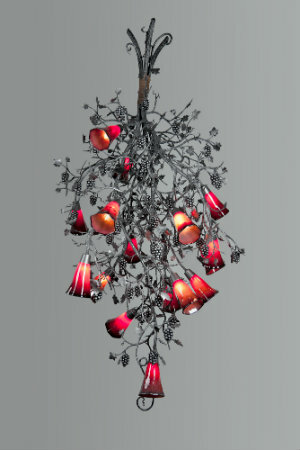 CHA0022-36 chandelier from the Hammerton Fusion collection with hand-sculpted steel and fused crystal glass bowl. Custom Hammerton Celtic knot linear dining light. This Hammerton Studio Rock Crystal Oval Starburst (PLB0050-0A) adds a surprising mid-century inspired twist to this elegant traditional dining room. By Win This House! and Home Love Network. Let us know if you see a fixture design you'd like to incorporate in a future project. To view more visit Hammerton or Hammerton Studio. At Hammerton, we’re passionate about using common materials to create uncommon lighting designs. While glass and steel are certainly conventional materials, using them artistically to evoke nature-inspired lighting designs is not. Our artisans transform blown glass, kiln fused glass and steel into a variety of shapes and textures that add surprising organic interest to lighting designs. From drops of sparkling dew to crystal clear bamboo stalks or gracefully curved branches sculpted from steel, we love to push the boundaries of lighting design to create unique and surprising fixtures. Take a look at the gallery above to view a few examples featuring natural forms and textures crafted from glass and steel. A trio of sleek pendant lights mirrors this contemporary kitchen's monochromatic color palette and clean architectural lines. This upper level study features a custom Hammerton chandelier and a series of contemporary pendant lights that beautifully echo the stairway railing and skylight. Glass beads drape gently from this candelabra to subtly complement the arched niche of this hallway. A striking ceiling fixture, crafted from glass and steel, beautifully complements this front entryway's warm wood tones and mahogany woodwork. For this statement piece, our designers took a lead from the home's bold architecture to create an elegantly tiered glass chandelier that balances the room's heavy stone walls and warm wood tones. Above this beautiful kitchen bar, a row of contemporary pendants provide functional task lighting, while enhancing the modern aesthetic of the surrounding environment. 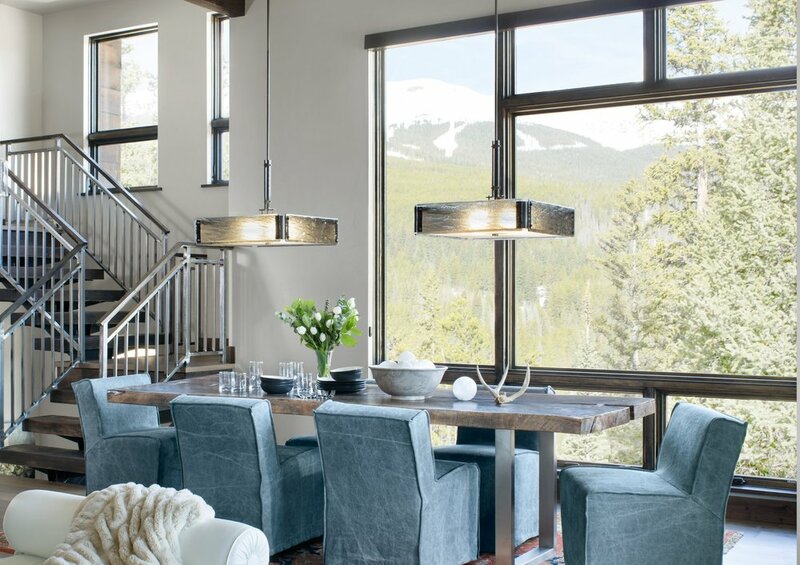 Industrial chic pendants, crafted from steel, woven mesh and mica, underscore the incredible craftsmanship of this modern mountain home. The refined, yet rustic architecture is echoed in the fixture's sleek silhouette. A contemporary chandelier was designed with square tiers to subtly echo this bedroom's hardwood paneling. Additionally, a combination of metal and glowing mica underscore the room's natural tones and textures. This can be quite a daunting question when considering custom light fixtures for your home. Usually, the best first step is the most straightforward: simply consider the home’s architecture and overall aesthetic design. Your goal may be to create a bold modern fixture for a industrial-style urban loft with an abundance of concrete and metal finishes, a dramatic old world fixture to offset hand-hewn stone walls, an organic contemporary piece to update a timber frame retreat, or a countless number of other options. Whatever the case, consider different forms, materials and colors to coordinate with the home’s structural design, furnishings and finishes. Custom homes featuring distinctive architectural details and interesting materials are a great source of inspiration for the Hammerton design team. We also look to a home’s natural surroundings and views to form an idea for a fixture design. In the end, your home’s architectural design is one of the most important factors to consider when designing custom fixtures. Browse through the gallery above to view some examples of custom fixtures inspired by their surrounding architecture and environment. If these pieces inspire a new design project, contact one of our team members at Hammerton to discuss your ideas for a luxury custom light fixture. In this custom Lightspann fixture, blown 'Vesuvio' glass transforms an unusually shaped chandelier form into an eye-catching work of art. In this swirling Lightspann chandelier, a combination of blown Venetian glass shades and decorative glass spheres add an eclectic touch. An irregular pattern of multi-colored panels add a touch of personality to this contemporary fixture, while layered hues and unexpected textures catch the eye. This one-of-a-kind architectural fixture also doubles as a large-scale sculpture that strategically draws the eye upwards in this restaurant space. These diminutive yet impactful ceiling fixtures, featuring a vibrant blown Blue Cararra glass, make a bold statement in this hotel elevator lobby. Like bubbles rising from the bottom of the ocean, a multitude of colorful blown glass spheres in this custom Lightspann chandelier sprinkles a popular San Francisco seafood bar with a whimsical aesthetic. Thoughtful use of color can empower interiors with energy and an invigorating sense of joy and tranquility. Colorful light fixtures can come in many shapes and sizes, as well as in dozens of materials, from reflective mica to breathtaking glass. With an intelligent combination of design elements, you can leverage color to achieve an effortlessly cohesive and sophisticated lighting plan. Simply put, the ethereal element and subtle translucence of colorful glass can add an undeniably delicate yet uniquely modern appearance to interior designs. View how we’ve used colorful glass to craft stunning Lightspann contemporary light fixtures by clicking through the photo gallery above. 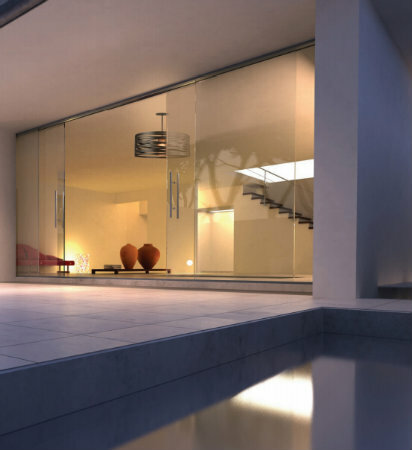 If these glass designs speak to you, contact a team member at Hammerton. We’re ready to help you find the right fixtures for your project. And if we don’t have the perfect piece, we’ll work with you to custom create one. Read about our custom work and view our custom gallery to learn more. A layered swirl of steel, featured this steampunk-inspired Tempest chandelier from Hammerton Studio, adds a dash of drama to a tranquil, modern setting. A Tempest pendant is the perfect counterpoint for concrete surfaces and a memorable first impression in an industrial-inspired, rustic chic entryway. An effortless touch of modern industrialism is created by the precise lines and subtle curves of this chandelier from Hammerton Studio's new Skyline collection. The refined look of this Skyline sconce provides the perfect contrast to industrial-style cement walls. The warmth of this wooden staircase is complemented by our Bamboo sconces, which reflect a sophisticated light pattern on the surrounding wall and add a sculptural element to this modern, minimalist space. This Downtown Mesh drum chandelier brings an urban touch to a chic, modern kitchen. 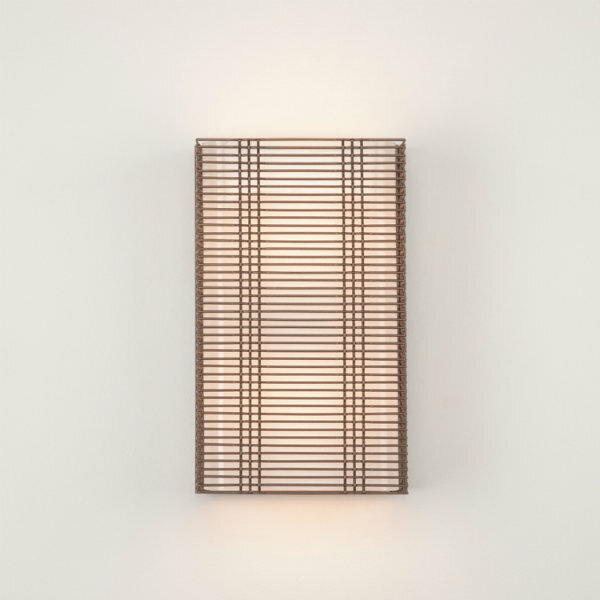 The woven steel material gives the fixture a bold aesthetic, while remaining light and airy. The polished look of this Downtown Mesh wall sconce adds an artful allure to a contemporary space comprised of cement, glass and steel. 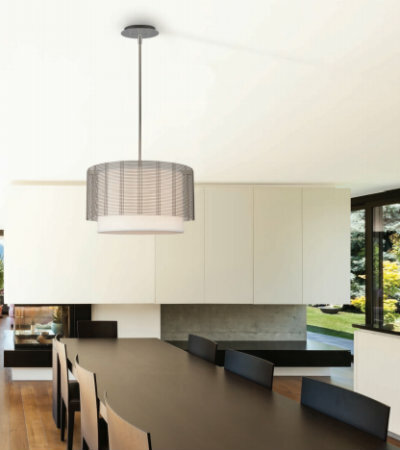 These urban chic Uptown Mesh pendants beautifully illuminate a bright, modern kitchen without weighing the space down. These carefully-crafted Textured Glass pendants add graceful shapes and understated elegance to an all-white interior. Metal has never looked so chic. From contemporary lofts to fashion runways, the remarkable staying power of modern industrial style is undeniable. Luxury light fixtures featuring raw metal combined with contrasting textures, like weathered wood and soft, clean surfaces, can translate into gorgeous designs with a bold and sophisticated edge. Inspired by the industrial revolution and steampunk culture, this uniquely urban aesthetic juxtaposes a range of materials, textures and colors to create designs that engage the eye. Oftentimes, industrial chic fixtures fashion simple lines and shapes into interesting and dynamic forms cut from steel and aluminum. These structural works of art are often softened by simple, monochromatic fabrics or warm, distressed wood, found either in the piece’s surrounding environment or within the fixture itself. Reflected in our industrial-inspired fixtures, Hammerton Studio product designers have been particularly inspired by these materials and design concepts. We invite you to browse through the slider above to view some of our industrial chic lighting designs in their modern environments. You can also download Hammerton Studio’s 2014 catalog of accessibly-priced luxury lighting designs for a better look at how our artisans have re-imagined the industrial chic style. To speak to a lighting design expert who can help you select the right fixture or work with you to create a custom design for your project, contact Hammerton online or by calling 801.973.8095. Perfect for making a statement in a dining room or wine cellar, this magnificent chandelier design with a grape vine motif features custom-blown art glass shades. Reminiscent of the majestic foxglove flower, this Lightspann Cascade chandelier features a striking aesthetic with its sculptural silhouette and creamy, lip-tinted blown glass shades. The Lightspann Lucien Chandelier offers a uniquely elegant design featuring hanging glass crystals carefully crafted to look like drops of water. The delicate nature of the droplets echo the chandelier's graceful curves and curls. From the Hammerton Studio Textured Glass collection, this drum chandelier's rugged texture captures the depth and variation of natural granite, making it a wonderful piece for a contemporary mountain home or modern rustic design. 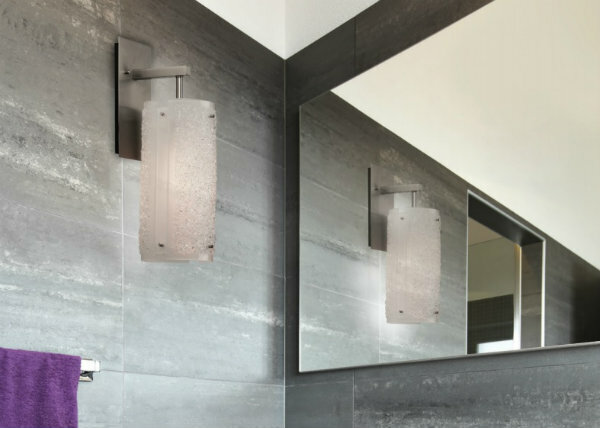 These stunning Rain Mosaic sconces from the Lightspann collection feature the smooth pebbled texture of tumbled 'stones', offering a delightful contrast to the sharp lines and rectangular planes in this contemporary powder room. Handcrafted from fire-polished glass, this Bamboo waterfall chandelier from Hammerton Studio adds a subtly sophisticated organic element to any contemporary space. Inspired by the ethereal winter image of ice-flocked tree branches, this Rimelight sconce from Hammerton Studio is defined by sparkling panels of crushed, kiln-fused glass. 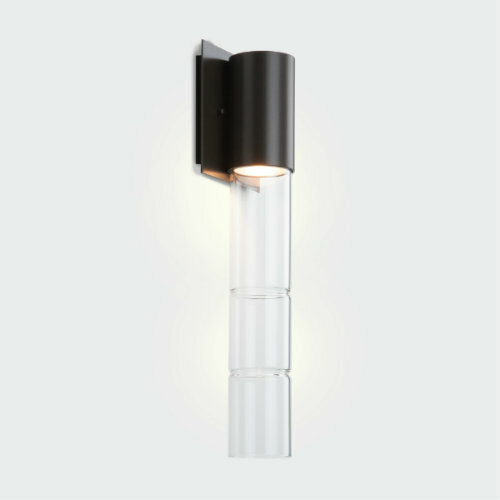 Shown here in Frosted glass, and also available in Citrine and Marine colored glass. At Hammerton, we’re passionate about using commonplace materials to create uncommon lighting designs. While glass is certainly a conventional material, using it artistically to evoke nature-inspired lighting designs is not. Our artisans transform blown and kiln-fired glass into a variety of shapes and textures that can add delightful organic interest to lighting designs. From drops of sparkling dew to a bundle of bamboo stalks, we love to push the boundaries of this material to create unique and surprising fixtures. Take a look at the gallery above to view a few examples of our designs that feature the natural forms and textures of beautifully crafted glass. You can also browse our Lightspann and Hammerton Studio collections to view more of our glass lighting designs. To speak to a lighting design expert who can help you find the right fixtures for your project, or to learn more about our custom work, contact Hammertononline or call 801.973.8095. 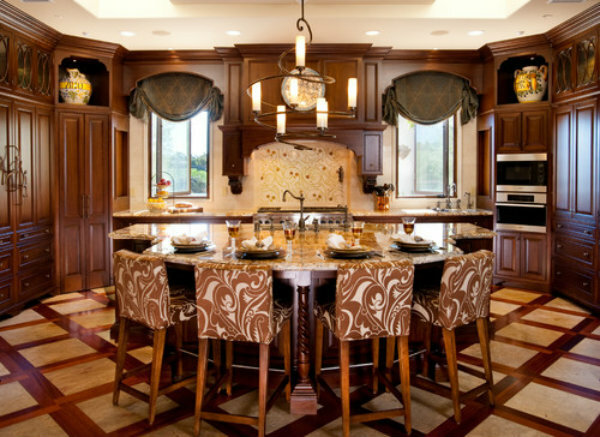 R. Johnston Interiors definitely had a theme in mind when creating this kitchen - swirls! The slender contours and organic serifs featured in this space highlight the fixture's whimsical personality. Gabbers Design Studio brought this front porch oasis to life with greenery, a pair of statuesque hens and two sconces displaying an organic motif from our Log & Timber collection. This kitchen is all about lines and angles. Designed by AP Resort Concepts, this design seamlessly incorporates a chandelier and pendant from out Contemporary Collection for ample lighting and efficiency. Martin Manley Architects softened this grandiose bedroom with a trio of golden pendant lights from our Seriph Collection. Supplementing these are a few recessed lights to vary the level of brightness as needed. Martin Manley Architects blends rugged appeal with sophisticated class in this luxurious bedroom. Our drum fixture adds a touch of drama and even strikes a nice balance between light and dark, perfect for when it’s time to relax. 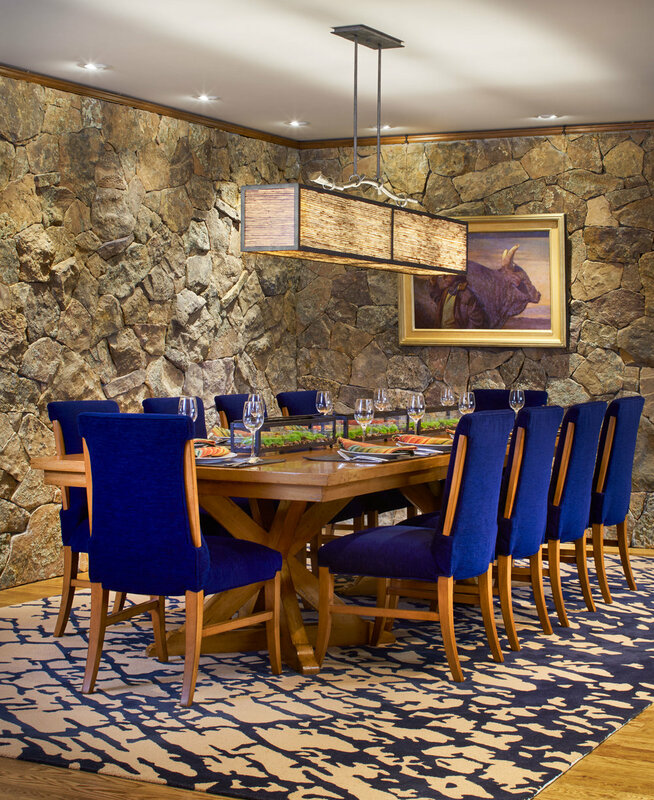 This elegant dining room is ideal for an intimate meal, thanks to the team at Billy Beson Company. A pair of candlelight chandeliers from our Seriph Collection quietly enhances the beauty of this classic dining space. A massive custom light fixture takes center stage in this California kitchen, designed by Pamela Pennington Studios. This drum chandelier with strap detail looks beautiful against a strategically placed skylight. McCann Associates Inc. lit this upper level study with a custom Hammerton chandelier and a series of pendant lights from our Contemporary Collection. The design of this work space does a fabulous job of balancing both natural and artificial light. Making a grand entrance was designer Leslie Schofield’s goal in this Park City dwelling, built by PCM Inc. 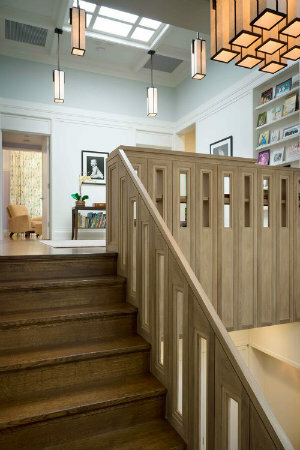 The contemporary drum echoes the staircase lines and craftsman influences, setting a great impression for the rest of the home’s interior design. The expansive orientation of this natural-toned kitchen calls for some far-ranging features. Dawn Hearn Interior Design’s incorporation of shiny tiles makes its mark, and the industrial influence of our Tempest metallic chandeliers offers an urban treat for the eyes. 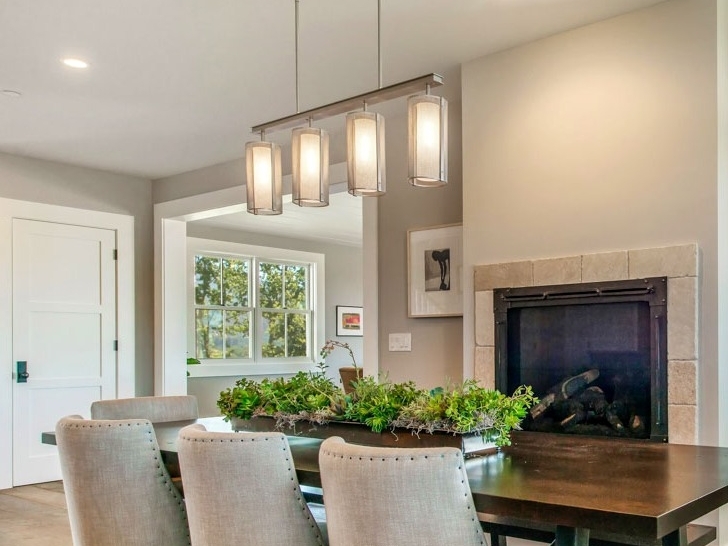 Houzz has been a great site for Hammerton to share our diverse collection of decorative lighting. Because we work extensively with architects, designers and contractors, it’s always nice to see what their finished projects look like with our custom light fixtures. Take a look at the gallery above to view our take on the 10 best images uploaded to Houzz by some of the many professionals we’ve partnered with in the past. While these projects represent a very small portion of Hammerton’s work, they do give an idea of the broad range of design, materials and custom capabilities we offer. If you need a innovative lighting solution for an upcoming design project, contact us directly for a consultation today. 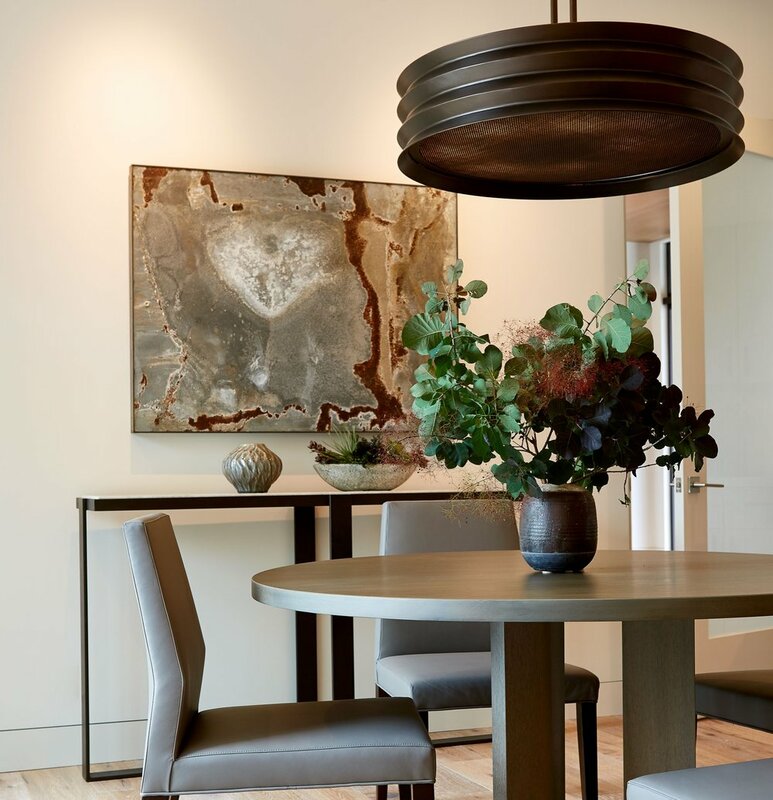 The swirling, contemporary steel design of a semi-flush drum chandelier from Hammerton Studio's Tempest Collection can add movement to any space for a stunning visual impact. Embrace an industrial-chic look with a semi-flush ceiling chandelier from Hammerton Studio's Downtown Mesh Collection. Add urban elegance and just the right amount of volume by incorporating an Uptown Mesh chandelier with a semi-flush mount to your interior space. Limited space should never limit style and function. Small areas, such as laundry rooms, secondary hallways and closets are all too often reduced to lackluster, utilitarian light fixtures simply because of their size. Hammerton Studio offers three new ways to add style to these spaces with its latest selection of semi-flush mounted ceiling lights. Our Tempest, Uptown Mesh and Downtown Mesh collections all feature semi-flush mounts that transform a stylish look into the ideal lighting solution for a highly functional space. Any of these fixtures will jazz up even the most utilitarian of spaces — from stairwells to mudrooms to walk-in closets. Like all Hammerton Studio indoor fixtures, our semi-flush mounts are available in two finishes and ship in less than four weeks with instructions for easy installation. Contact Hammerton today to learn more about the Hammerton Studio line, as well as our Hammerton and Lightspann brands. 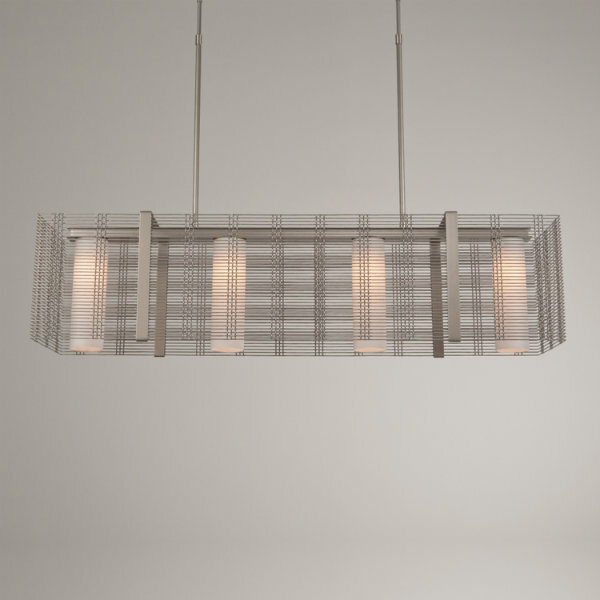 Downtown Mesh linear suspension, with frosted glass diffusers, in metallic beige silver finish. 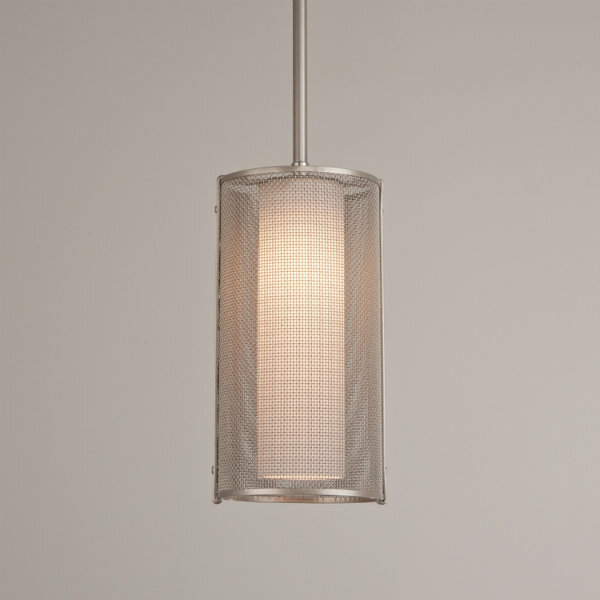 Downtown Mesh pendant in metallic beige silver finish, with frosted glass cylinder. 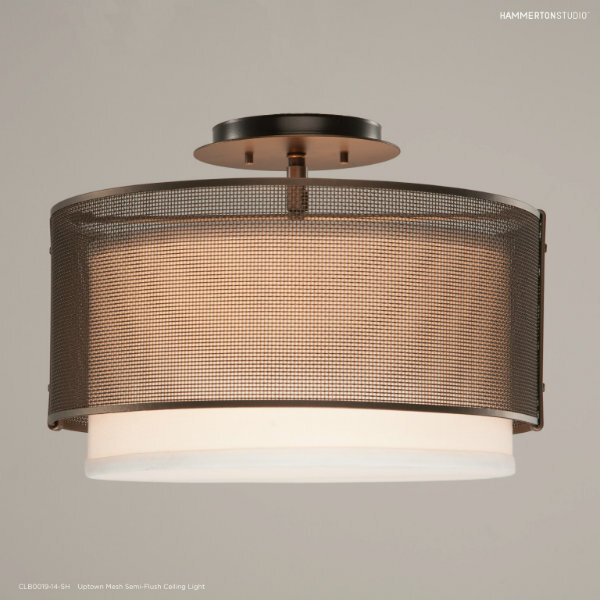 Downtown Mesh drum pendant, in flat bronze finish, with linen shade. 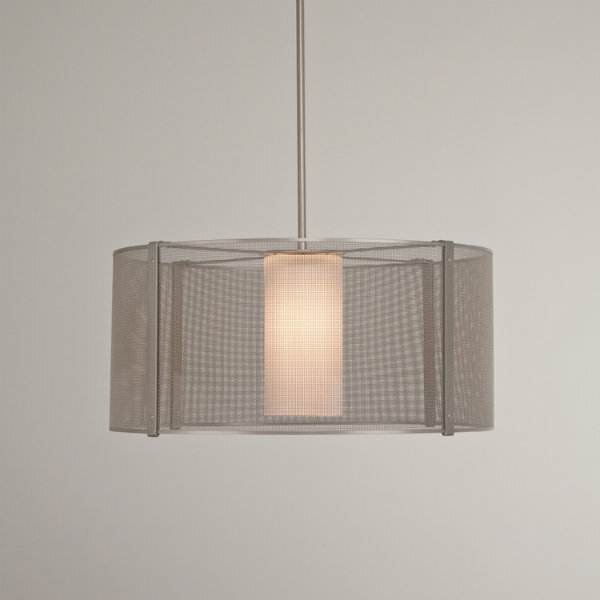 Uptown Mesh pendant in metallic beige silver, with frosted glass cylinder. Downtown Mesh indoor sconce in metallic beige silver finish, with frosted glass diffuser. Uptown Mesh cover since in metallic beige silver finish, with frosted glass diffuser. Uptown Mesh drum pendant with linen shade, in metallic beige silver. 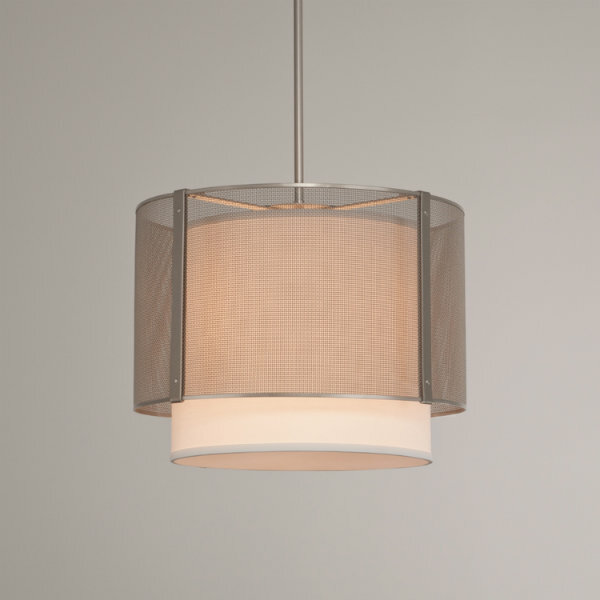 Uptown Mesh drum pendant with frosted glass cylinder, in metallic beige silver finish. Downtown Mesh cover sconce, with frosted glass diffuser, in metallic beige silver finish. 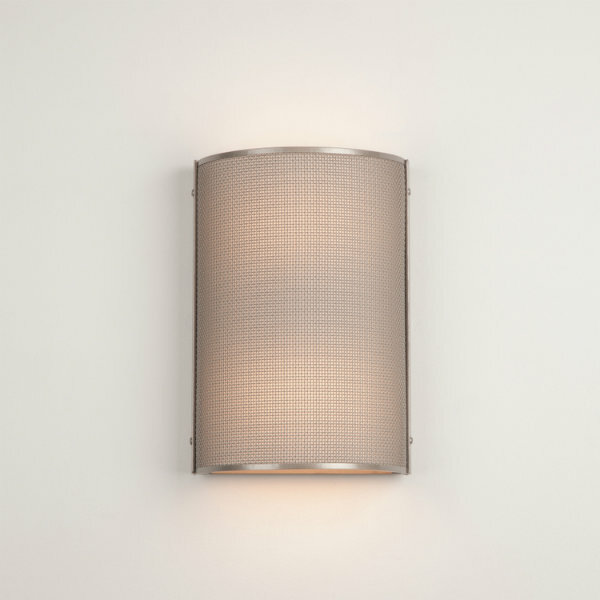 Downtown Mesh indoor sconce, with frosted glass diffuser, in metallic beige silver finish. 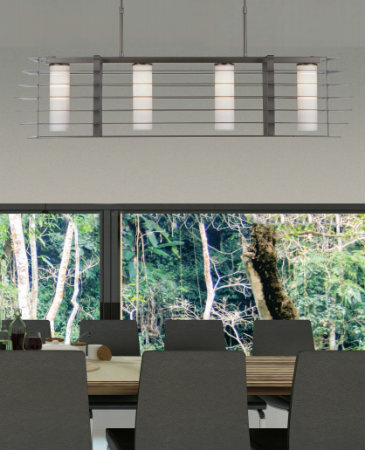 Uptown Mesh linear suspension in metallic beige silver finish, with frosted glass cylinders. Exceptional design often results when common materials are used in uncommon ways. Case in point: the Uptown Mesh and Downtown Mesh collections from Hammerton Studio. Both collections brilliantly demonstrate the remarkable aesthetic appeal of common woven steel mesh. As a light diffuser, mesh evokes an airy softness while simultaneously emitting the strength of steel. This delicate balance gives mesh an ethereal quality that transcends the utilitarian nature of the material. Genuine steel mesh is rarely used as a structural element in decorative lighting because — as our artisans will attest — the material is extremely difficult to work with. As a result, most manufacturers used stamped metal instead, which simply does not match the distinctive elegance of woven mesh. Hammerton Studio’s Uptown Mesh Collection is defined by a sleek, urban-inspired look that’s sophisticated and refined, while the Downtown Mesh Collection is ideal for those who are drawn to a slightly more rugged, industrial look. These mesh fixtures embody industrial style with a chic urban twist. Both collections are available in two finishes, are priced from $475-2,995, and ship in less than four weeks. 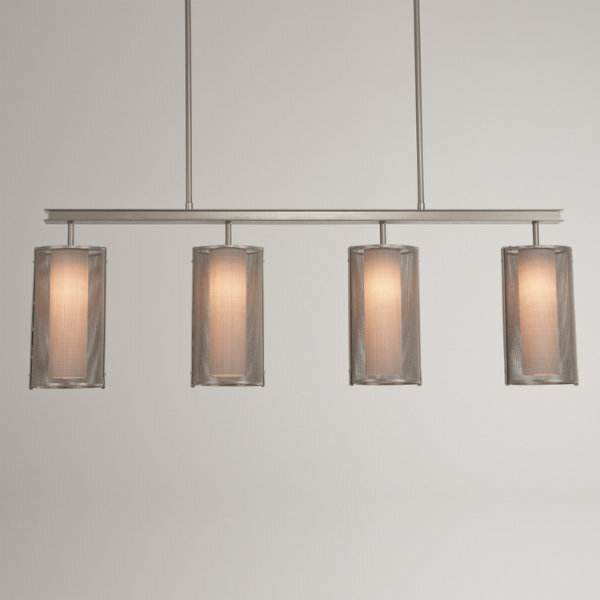 Like all Hammerton Studio fixtures, these are handcrafted in Salt Lake City, Utah. 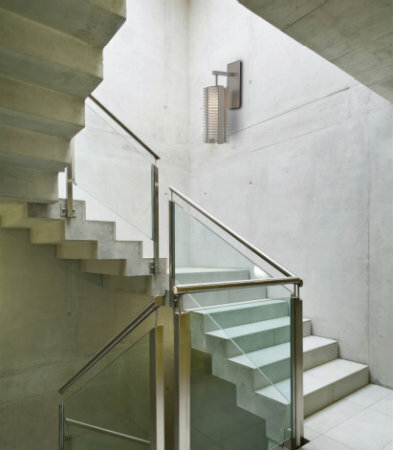 Contact Hammerton today to discuss your lighting options with a passionate professional. Our team members are always ready to help clients take their living spaces to the next level with beautiful and functional lighting. Hammerton Studio's Bamboo Outdoor Collection pairs sparking-smooth columns of fire-polished glass with beautifully finished metalwork to achieve a sleek, sophisticated contemporary aesthetic. Bamboo outdoor sconce in a Statuary Bronze finish. Skyline outdoor sconce in a Statuary Bronze finish. 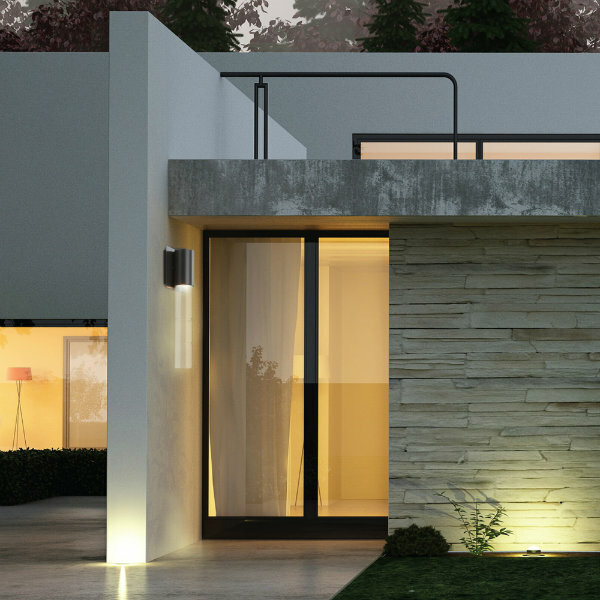 Outdoor lighting poses a particularly difficult challenge for designers and homeowners looking for fixtures that offer both aesthetics and rugged weather resistance. Hammerton Studio’s Bamboo and Skyline collections now offer two stylish solutions to this age-old outdoor lighting problem. Both are handcrafted in aluminum and glass, pre-treated for corrosion resistance, and beautifully finished with AAMA 2604-rated paints that withstand even the toughest climates. And while most outdoor fixtures barely survive a season or two without completely losing their eye appeal, Hammerton Studio outdoor fixtures are guaranteed for life. Our Bamboo outdoor sconce pairs a sleek, fire-polished glass column with contemporary metalwork for a look that’s uniquely chic, clean and sophisticated. At night, the ribbed glass casts a dramatic shadow. Our outdoor sconce from Hammerton Studio’s new Skyline Collection juxtaposes smooth layers of precision-cut metal with artisan glass, creating a contemporary look that’s crisp, edgy and architecturally intriguing. If you find yourself drawn to these more modern designs, you’ll be pleased to learn that Hammerton Studio will be releasing several new outdoor solutions in the coming months. In the meantime, browse all our collections on the Hammerton Studio website, or contact us with any questions at 801.973.8095. Project Spotlight: AVI & Co.
Want the latest news on Hammerton and Hammerton Studio? Learn about new products and projects, custom work, promotions and more. Sign up today!